Before you book your next flight, consider this. You already know that flying raises your risk for deep vein thrombosis (DVT)—a condition in which a blood clot forms in a large vein (usually in the legs)…and if that clot breaks off and travels to your lungs, it can kill you. That’s called a pulmonary embolism. 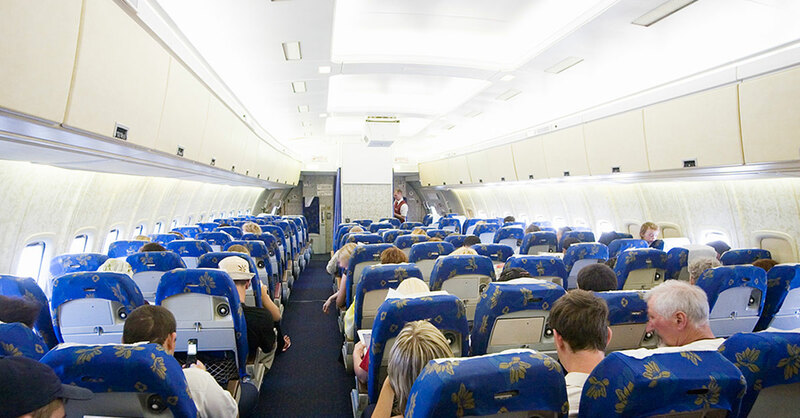 But did you know that where you sit inside the plane also may affect your risk? To find out where I should—and shouldn’t—plant my fanny, I called Gordon H. Guyatt, MD, chair of the American College of Chest Physicians (ACCP) panel that just wrote new guidelines on DVT. It’s OK to sit in coach. “There’s a common belief that you’re at lower risk for DVT in first or business class because that’s where you have the most legroom. But we did not find that to be true,” said Dr. Guyatt. So while there may be many reasons to avoid packing yourself into a cramped and noisy coach-class seat, DVT is not one of them. In other words, in terms of risk for a blood clot, it isn’t how much legroom you have that matters—it’s how much moving about you do. Choose an aisle seat when possible. Sitting in a window seat or even a middle seat limits your mobility—and that does increase your risk for DVT, whatever class you are seated in, said Dr. Guyatt. “An aisle seat makes it very easy for you to get up and move around, which reduces your risk for DVT because it improves blood flow all over your body—especially in your legs,” said Dr. Guyatt. Not only can you easily stand in the aisle of the plane, where you can stretch and move more freely, but you are more likely to have to get up to accommodate seatmates who need to use the bathroom—a good thing for your health. DVT isn’t common, but it’s not as rare as you might think. Dr. Guyatt and his team found that DVT occurs in one in 4,600 healthy individuals within a month following a four-hour flight…and that for each additional two-hour increase in flight length, risk rises by 18%. With a history of DVT or a clotting disorder. Who have had recent surgery or have active cancer. Who are pregnant or using oral contraceptives or other forms of estrogen. And in general, he said, the older you are, the higher your risk. Get up and move around. To improve circulation in your legs, get up once an hour. Simply standing is better than sitting—and moving around is even better. Try strolling to the lavatory and back, touching your toes or doing some squats. Exercise your calves while seated. To keep your blood pumping while seated, periodically place your tiptoes on the floor, raise your heels as high as you can, hold for five to 10 seconds, lower and repeat.